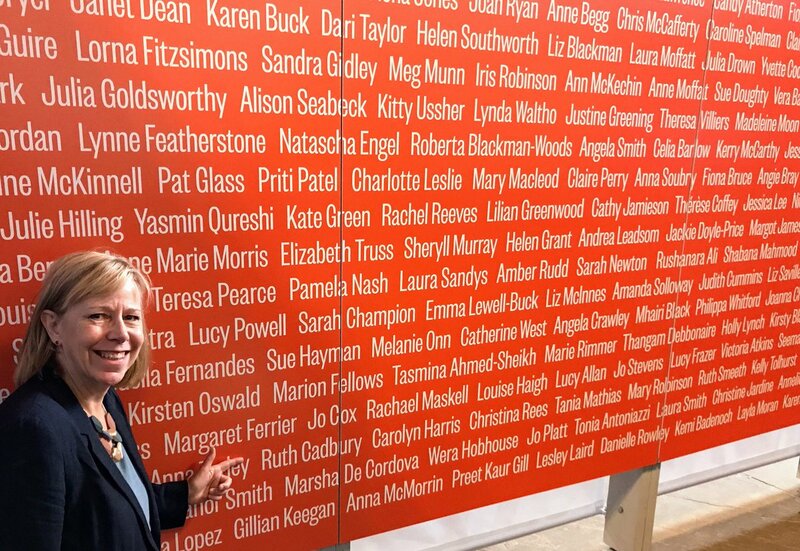 Ruth Cadbury would like to invite constituents across Chiswick, Brentford, Isleworth and Hounslow to visit an important new exhibition which tells the story of the fight for women to have their say in Parliament. The exhibition not only tells the hidden "her-story" of the UK Parliament: the campaigning, the protests and the achievements. It also examines where we are today, and shows that anyone can make change happen and exercise their democratic rights. Ruth Cadbury MP, said: "It is so important that local people come and hear the story of this hidden history. Not only should we remember those who fought for the democratic rights we have today, but I would urge everyone to make their voices heard in our democracy today." Visitors will delve into the past and discover what women would have experienced in: The Cage, The Tomb, The Chamber and The Ventilator. Melanie Unwin, Co-Curator of the Voice and Vote exhibition, said: "This innovative exhibition immerses visitors in lost historical spaces, and shows the barriers that women had to overcome to participate in democracy. For the first time, we have recreated the sounds and atmosphere of the uncomfortable spaces which women were confined to - to show the magnitude of what campaigners and early women MPs achieved despite the limitations placed on them. Revealing this hidden history should help inspire us all to make use of the rights that women of generations past have dedicated their lives to." Rare historic exhibits from around the country, some of which have never been on public display before, help to tell the story of the battle for women to gain the right to vote. Mari Takayanagi, Co-Curator of the Voice and Vote Exhibition, said: "We have been working on the Voice and Vote exhibition since 2014 and we've made some fantastic discoveries along the way. In particular we've delighted to display for the first time items from private collections which beautifully illustrate the story of women and Parliament. The exhibition helps people relive the fight, struggles and sacrifices made by the early suffrage pioneers, and remind us all of the importance of what they fought for." 200 years ago, this loft space above the House of Commons Chamber was where women watched and listened to Parliamentary debates. Women were banned from the public galleries. Those who were politically engaged and wanted to watch discussions of issues they were campaigning for, such as the abolition of the slave trade, would make their way to this space to watch and listen. After the 1834 fire which destroyed the old Palace of Westminster, the new House of Commons included a Ladies' Gallery which allowed women to view the Chamber from high up above the Speaker's Chair. The gallery was closed off by brass grilles, deliberately placed there to stop MPs seeing the women. The grilles restricted women's view and the Ladies' Gallery was hot, stuffy and soon nicknamed "The Cage". From 1918, women could stand for Parliament for the first time. An office called the Lady Members' Room was provided but it was poorly furnished and became increasingly overcrowded as more women were elected as MPs. They had to share the space, which became known as "The Tomb" despite their differing politics. Once the few desks provided were all taken, women MPs had to sit on the floor to do their paperwork and hold meetings in corridors. The final part of the exhibition will be the Chamber, exploring the experience and work of women MPs and members of the House of Lords today. Women have now occupied the highest positions in Parliament, including Betty Boothroyd, the first, and only (so far) woman Speaker and Baroness Hayman, the first Lord Speaker in the House of Lords. These acts followed years of campaigning, with the first petition to Parliament asking for votes for women presented to the House of Commons on 3 August 1832. There will also be an exciting programme of talks and tours in Parliament, and a number of UK-wide events, such as UK Parliament Week 2018<https://www.ukparliamentweek.org/> to mark the centenary. * There are currently 210 women were elected to the UK Parliament, a record high of 32%. In January 2018 there were 206 female peers, 26% of Members of the House of Lords. * There are currently six women in Cabinet including the Prime Minister, 26% of the total 23 permanent Cabinet posts. * Just over one-third (36%) of members in the Scottish Parliament are women, compared to just over two-fifths (42%) of members of National Assembly for Wales and 30% of Members of the Northern Ireland Assembly. Following the 2014 European Parliament elections, 41% of UK MEPs are women.